If you know me at all, you know I like Pokemon. 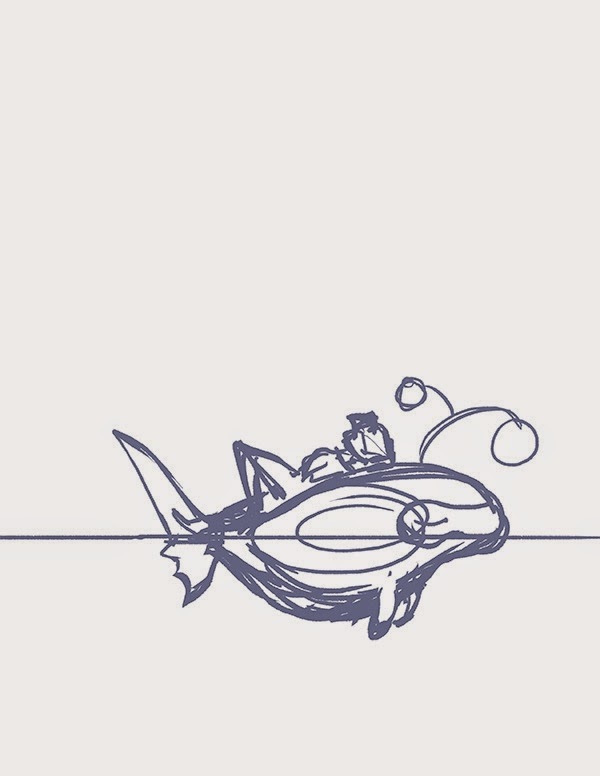 After playing Omega Ruby to the point where I could raise a Pokemon called Lanturn, I decided to draw a scene that kept popping up in my head while swimming with this oceanic creature. Here's what it looks like in the game, on the calm waters of Route 120. In the daytime it reflects clouds or a sunny sky. At night, however, you float through a field of stars. Lanturn is a mix of basic features between an angler fish, dolphin, and shark, only much more cute and featuring glowing orb-shaped lures (hence the name Lanturn). Unfortunately its sprite doesn't show up beneath the trainer. 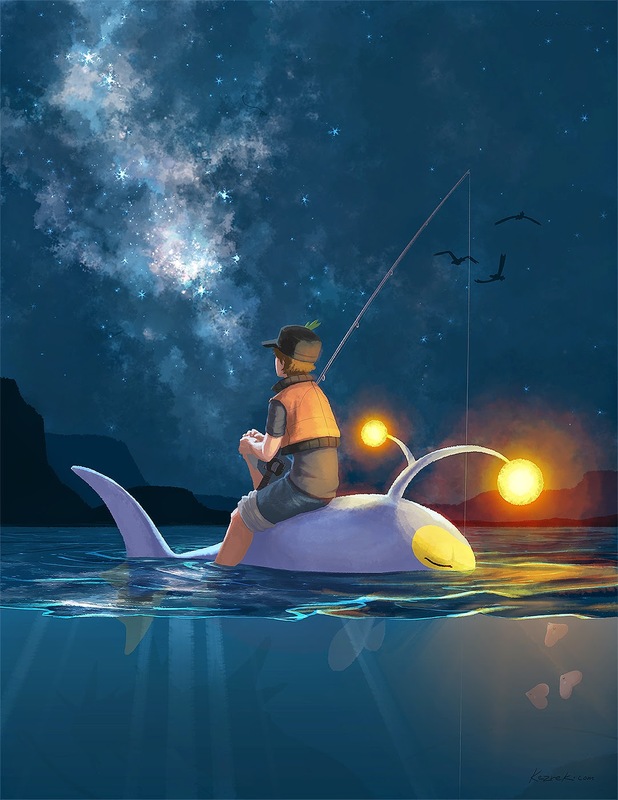 I thought it would be so cool to see Lanturn's glow illuminate your environment at night or deep in the dark sea. This idea caught my imagination on fire and I had to let it out. 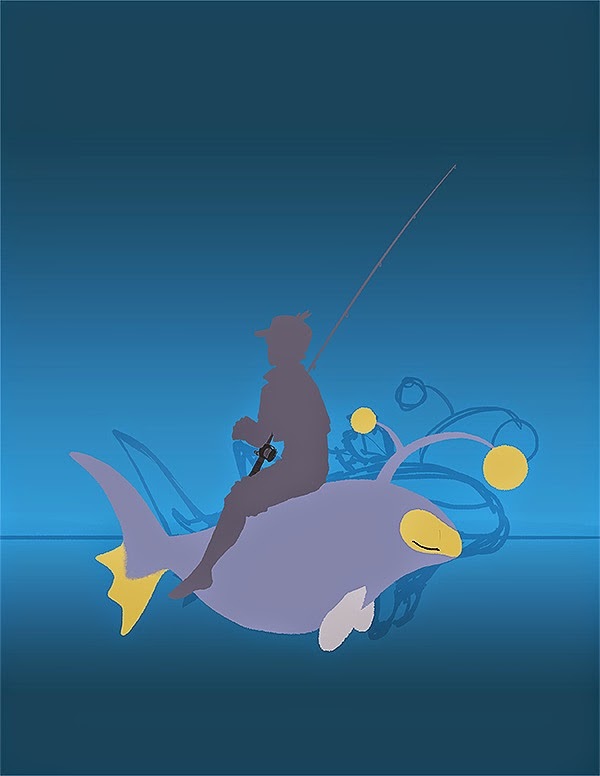 I decided to change the trainer's pose so she could hold a fishing rod, albeit absent-minded. I wanted the trainer and her Lanturn to be doing the same action (fishing); even though they're very different from each other, this subtle repeated theme is meant to bring them closer. It's as reflective as the calm water. 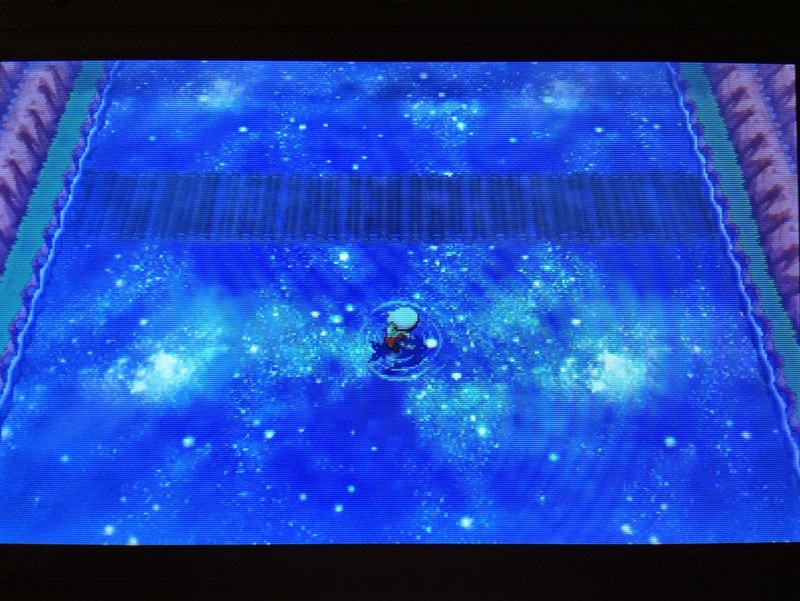 A note - a feature in Omega Ruby and Alpha Sapphire is the updated Pokedex. You can examine the 3D models of every single creature: rotate them, play their animations, do both at the same time, AND you can pause the animations as reference. You'll notice the Lanturn in my sketch is quite different from the one in the final. The tiny variations drove me nuts. So, turning to this latest game's Pokedex was very helpful. To start off, I blocked out the Pokemon and her trainer (me). 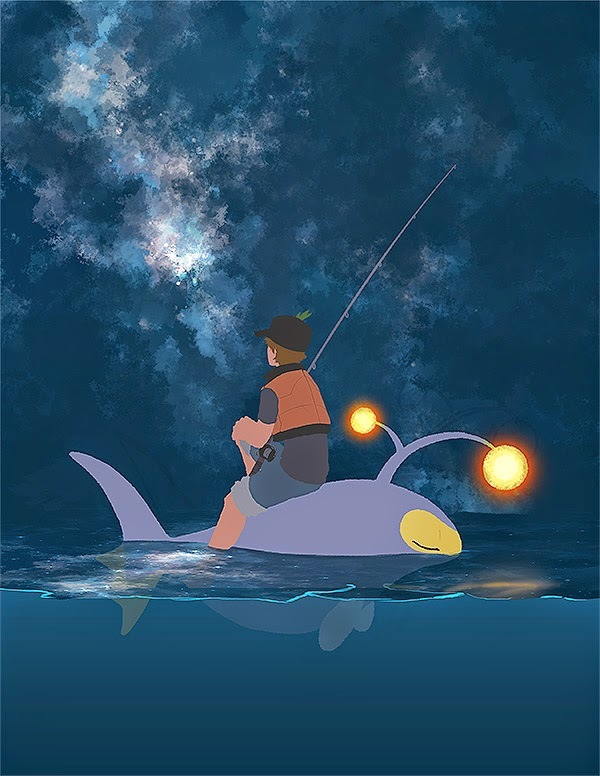 Next, I quickly added the trainer's colors and the light sources. Lighting is my favorite part of any drawing or painting, and it's an imperative part of this scene, so it made me very happy. I reflected the nebulous starscape into the water. The main piece is finished, but emptiness is not something I wanted to convey. The easiest way to get rid of that is to add more life to the scene. Here's the final; see if you can spot the other 4 Pokemon in the environment. Thank you for reading!